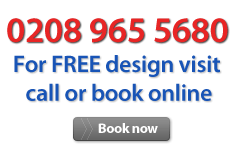 Bravo London Limited is the leading fitted wardrobe and fitted bedroom specialist in the UK. Bravo London Limited offers a fantastic range of fitted wardrobes, fitted bedroom furniture and bespoke fitted wardrobes. Nowadays they are becoming a common staple in households for space utilization, style and comfortable storage solutions. Our fitted furniture range is truly bespoke. There are lots of styles and materials that you could choose from. From traditional to contemporary styles, our fitted furniture has no limits in design and inspiration. Our designers have many years of experience and will be able to offer you the very best solution for any budget, space or individual preference. 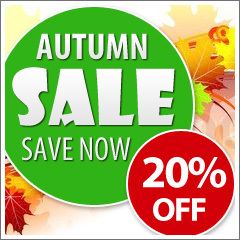 You can always visit our showrooms to view some of the possible designs and templates. Our fitted wardrobes and bedrooms range will suit any budget and with the availability of unique design solutions will make the process of choosing your fitted wardrobe or fitted bedroom an interesting and epic experience. You can browse through our fitted wardrobes and fitted bedrooms online to view some of the most common and interesting design solutions. Your choice, individuality is the most important part of creating the ultimate fitted wardrobe or fitted bedroom. Our bespoke fitted furniture range is tailored to your taster, individuality, views on functionality and storage and the distinct characteristics of your room’s space. Our wide range of fitted bedrooms and bespoke fitted wardrobes is unique in many ways: high quality materials, the prevalence of engineering thought and design solutions backed up with years of experience in designing bespoke fitted furniture. Our designers have no boundaries when creating a design and will take all necessary time to ensure that all your ideas, needs and choice of materials will be coherently brought together to create the ultimate fitted wardrobe or fitted bedroom. Bravo London offers unique storage solutions that are not only functional but also make surroundings more attractive. A bedroom fitted wardrobe will help you to sort out your belongings and store them in an attractive way while creating the effect of achieving more living space in your rooms. Such solutions are definitely worth considering, as they are capable of greatly improving and enhancing the usefulness of your dwellings and also add the comfort factor to every household. Bravo London takes its pride in manufacturing the finest, high-quality fitted wardrobes and fitted bedrooms. We use the best quality materials and components and will offer you a great range of designs and styles to choose from. Fitted Wardrobes consist of two parts: the external and the interior. 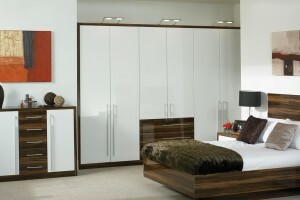 All our Fitted Wardrobes are fully bespoke and are made-to-measure. The external part usually consists of the “frame” which includes ceiling pelmets, end panels, wall jambs, floor battens and doors. The internals are the interiors fit-out for top-shelf, hanging space, drawers and/or shelves and accessories. Built-in wardrobes can be fitted `wall-to-wall’, `wall-to-end-panel’, or `end-panel- to-end panel’, to any height – to ceiling or finished with a roof below ceiling height. Why should you consider fitted wardrobes? Fitted wardrobes can make a huge difference to your household by taking those awkward spaces in your home and making them functional and useful. If you have dormer bedrooms with those slanted ceilings, fitted bedroom wardrobes can be designed to take maximum advantage of those slant-ceiling spaces. Do you have a messy and unorganized dressing room? Open front fitted wardrobe sections within it can help you organize that clutter and free up all that space. Do you have an open space under the stairs? How about a fitted coat cupboard for that space? If that is the case, Fitted Wardrobes will come just handy. They are a perfect choice and solution when it comes to maximizing the efficiency and storage functionality. Fitted wardrobes will offer an aesthetic approach and will also become a unique and stylish part of any household.